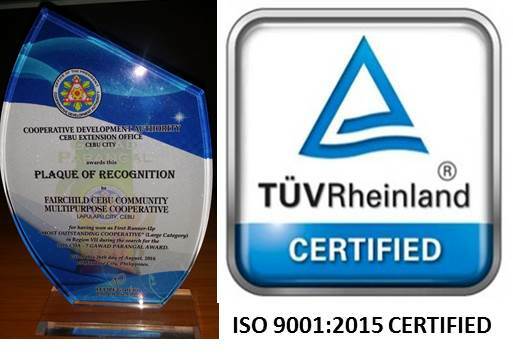 WE ARE ISO 9001:2015 CERTIFIED!!! 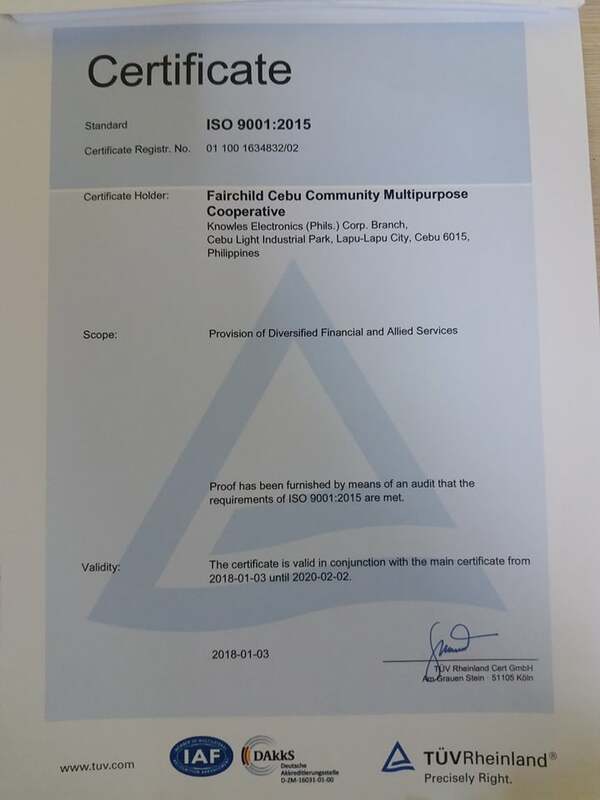 ISO CERTIFICATES BOTH FOR MAIN AND KNOWLES BRANCH! 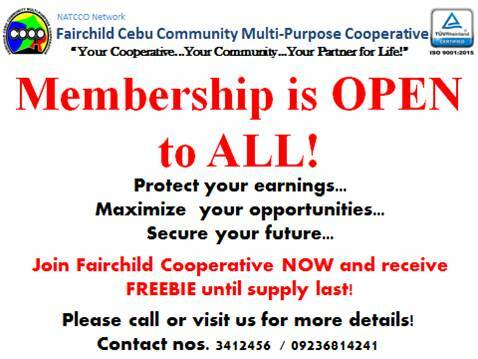 Let us grow a COOPERATIVE culture in our neighborhood. Invite your family, relatives, friends, co-workers..et al. 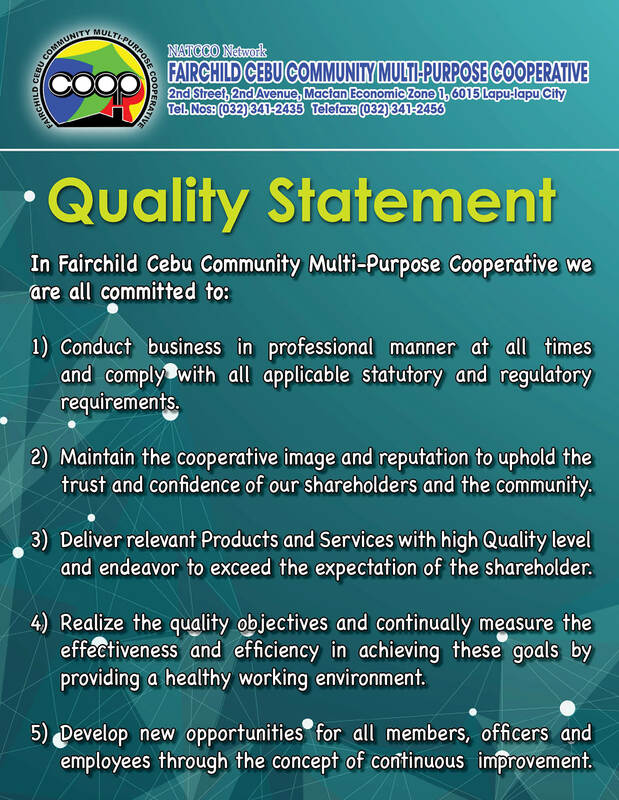 For the requirements and qualifications, please contact us! First time user? 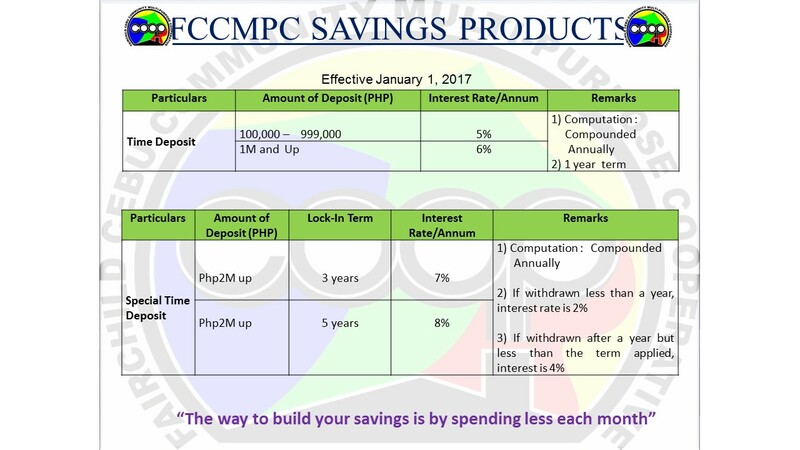 Register now(for current FCCMPC members only)! Please click this ----> "register now"
Thank you everyone for your prayers and cooperation! 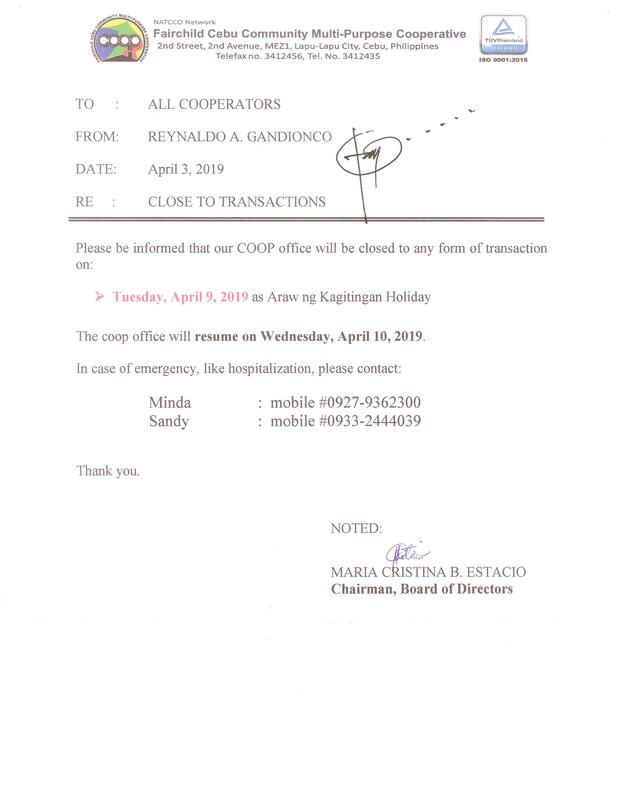 We were blessed by GOD with a PEACEFUL and SUCCESSFUL General Assembly last March 23, 2019. Congratulations to all newly elected Board of Directors and Committee Officers! 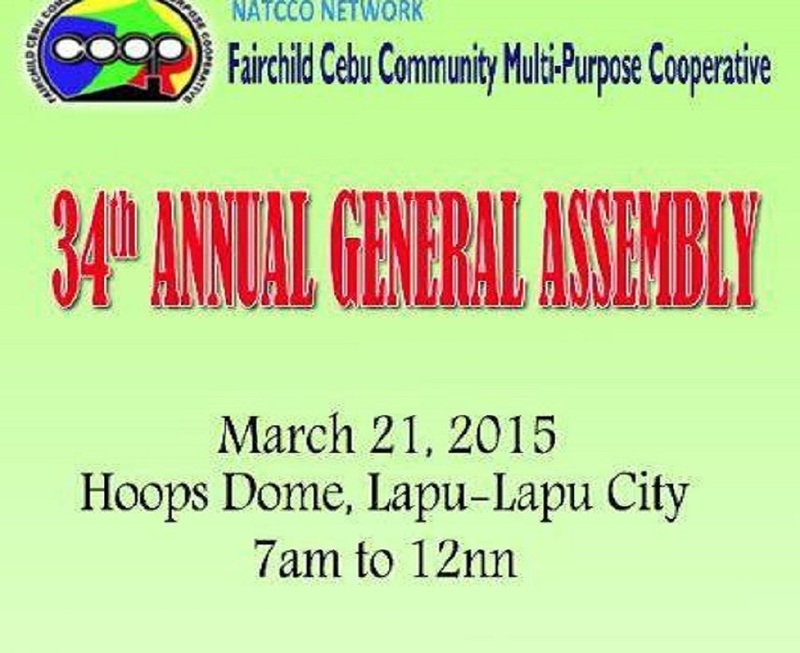 See you again on our 39th Annual General Assembly! 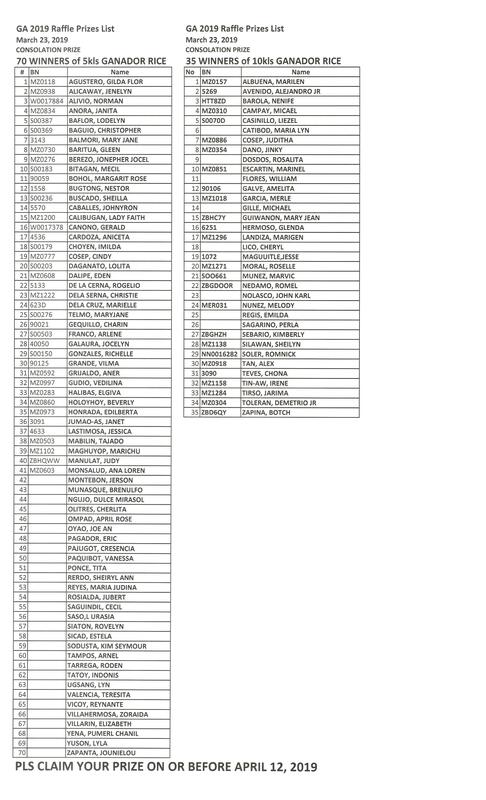 CONGRATULATIONS TO THE WINNERS OF GA2019 RAFFLE! Special Time Deposit with special rates! 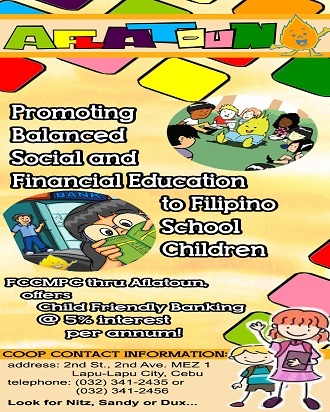 Aflatoun's Child Friendly Banking will work to guarantee every child's easy access to their own safe and friendly savings account. 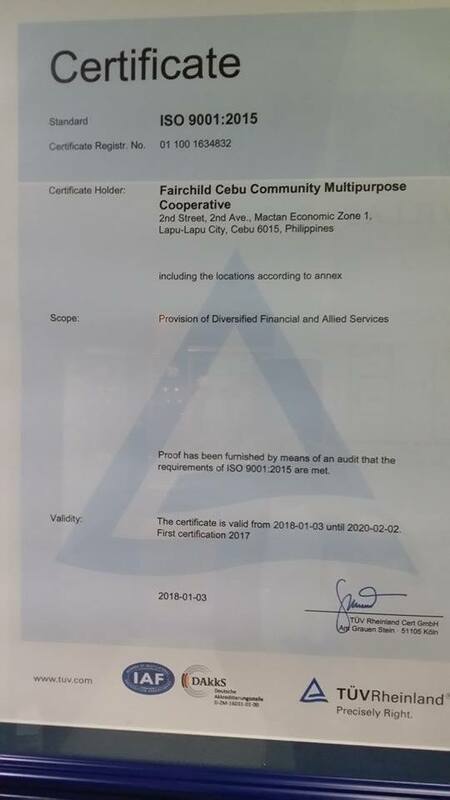 © 2013 F A I R C H I L D CEBU COMMUNITY MULTI-PURPOSE COOPERATIVE, inc. All rights reserved.